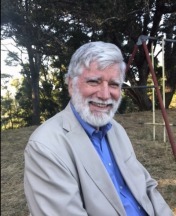 Mountain Journal notes with great sadness the passing of journalist Ed Marston, our trusted friend and guide on how to create credible news about the West. He died on August 31, 2018, at age 78, due to complications from West Nile virus. 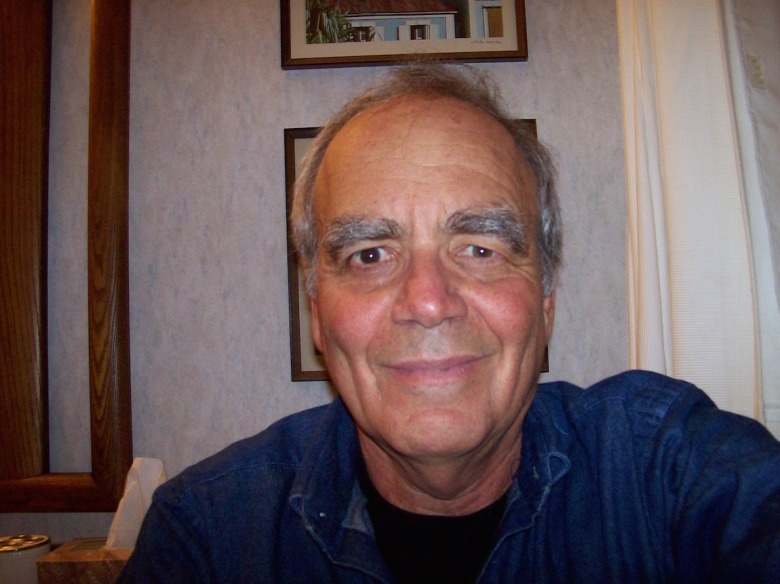 Ed was the publisher of High Country News, the environmental news magazine which profoundly defined the New West during his 19-year long tenure starting in 1983. Along with his wife, Betsy, who was the editor, Ed built High Country News into a publication that every major policy official involved with the management of public lands read carefully and reflectively over two decades of publication. When they started their work no national newspaper or newsmagazine covered the Interior West in any detail. After they arrived and expanded its focus, every journalist who covered the West used the HCN framework to understand the new forces that shaped public policy across the vast, rapidly changing, and much misunderstood interior states. A transplanted New Yorker and teacher by training, Ed taught us many lessons about how the West was being transformed by immigration, by technology, and by changing economic realities as the region shifted from the mainstays of cattle ranching, logging and mining into one defined through a much more complex array of cultural, political and economic forces. In those early days, national press outlets saw the West as a monolithic region of cowboys and miners. Issues of national tribal sovereignty were ignored. The growing debates about energy, water, and public lands were seen almost as cartoon-like happenings. HCN helped to fundamentally change those superficial outlooks. As a reporter, Ed was not primarily an environmentalist, although he carried those values. He was a student of the human condition. He believed in healthy human communities and he constantly probed as a journalist to understand how local and regional leaders were making decisions pertaining to humans used the region’s resources. His approach was different from the sometimes battering fact-filled logic of a Patty Limerick, the poetic insights of a Terry Tempest Wiliams, the stinging truth of Edward Abbey or even the in-depth personality portraits of a Wallace Stegner. More likely, the incisive work of John Kinsey Howard or the legal renderings of Charles Wilkinson and John Echohawk would come to mind. All these writers together meaningfully shaped our thoughts about the West. Ed did too, but he took a different route. He gave voice to the real-life experiences of many people who were not always obvious story subjects. In his bi-monthly production of HCN, he took the contemporary stories of western residents and molded them into a complex, shifting mosaic of American culture— in all of its contradictions. As a physics teacher, he understood how conflicting forces could mold nature and society in ways that were not consistent or easily understood. He sought out stories of how individuals lived their lives and accurately reported on what they did or said. And he let the reader figure out what these stories meant in their own lives. "He gave voice to the real-life experiences of many people who were not always obvious story subjects. In his bi-monthly production of HCN, he took the contemporary stories of western residents and molded them into a complex, shifting mosaic of American culture— in all of its contradictions." High Country News was created by the late Tom Bell, a crusading environmental evangelist and native-born Wyoming rancher and World War II vet who railed against corporate greed, governmental indifference and human stupidity. He pushed back hard against the treatment of the West as a natural resource colony, and the opportunity for doing better, though his views of society grew darker as he aged. His fearless cohorts, such as Dan Whipple, Bruce and Joan Hamilton, Hannah Hinchman and Don Snow, among others, used intellectual and moral sabers to slice through the contradictions and corruptive influences that seem to still define human society. 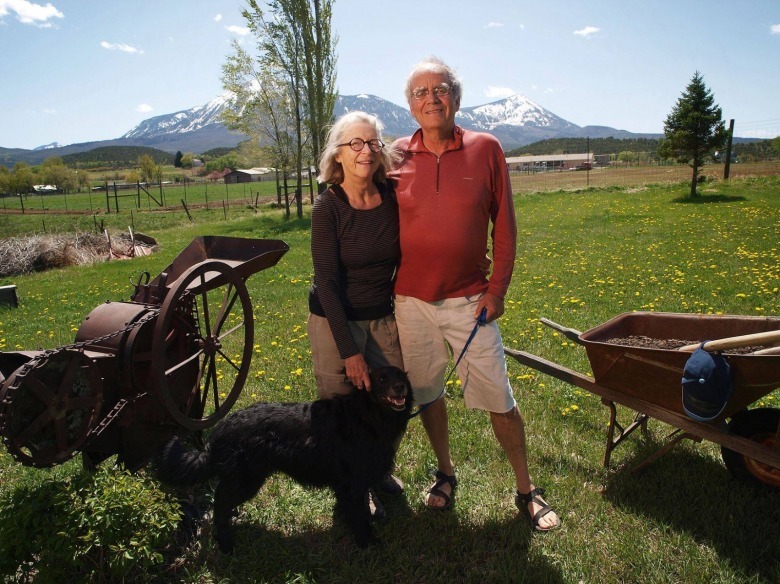 When Ed and Betsy took over HCN and moved it from Lander, Wyoming to their small remote community of Paonia, on the West Slope of Colorado, they transformed it into a tool that a much larger readership could follow and support. Their view of the western U.S. was brighter, more cheerful, and less moralistic than the HCN founders. In the two decades with Ed at the helm, HCN readership grew from 3,000 committed activists into an array of 20,000 readers who sought out new ways to understand how the western US was changing. Ed recruited me to be a board member of the expanded HCN during his first year as publisher. As a small businessman running a local newspaper, he had little experience with non-profits. He had even less experience dealing with environmentalists who looked at HCN as a sacred font of environmental outrage. In his first board meeting he showed up with some clear ideas but only one piece of paper – a crumpled sheet that contained his draft budget for the next year. He hoarded that single page of financial data and only reluctantly surrendered its details and implications. The board, comprised of environmental activists, greeted his oral plans and rough outline with shocked outrage and demanded more transparency and a lot more detail. Ed, who had a vision in his head, was a quick study and by the next board meeting he met our needs with ample plans, budgets and papers. We began a mutual exploration of what a small regional print newspaper could do in covering communities across the vastness of the West. While individual board members could sometimes be critical or disappointed in angles of particular stories, the board wisely left to Ed and Betsy the editorial and management decisions that helped HCN build a respected and credible voice for investigative journalism one story at a time. That approach has continued throughout the life of HCN. Western readers benefited from this independence and freedom from HCN having to worry about alienating advertisers or answering to corporate media beancounters concerned more about generating ad dollars than great content. In the years that followed, Ed and Betsy built a network of young journalists. One of the northern Rockies correspondents was Todd Wilkinson, founder of Mountain Journal. The Marstons had an ability to inspire and lead people who enjoyed complexity. They gathered a cadre of academics who could help them stitch nuance and curiosity into their coverage. They found scientists across the country who were studying the West and they gave them an outlet unlike any other publication. They sought out government officials of all stripes and persuasions and described the effects of public policies over many months and years. They turned their writers loose to probe and to question. The coverage could often be confusing, or contradictory even, to established environmental thought in which protagonists are considered either loyal to the cause or not. No matter. HCN helped expose the limits of raw idealism and the shortfalls of being too pragmatic or conflict-averse. It made readers—and the groups it covered— examine their own assumptions; it made many of us realize that we didn’t know as much as we thought we knew. Betsy initiated a back-page column—Heard Around The West— of startling stories into each issue. The unexpected and sometimes unbelievable stories of human folly served very much like a New Yorker cartoon -- they made us chuckle and then think about whether each of us could have done something that irrational or humorous. Ouch. We could. Ed was no pollyanna. To get a sense of who he was, read this pull-no-punches piece by Lisa Jones after Ed turned over the helm of HCN which is led today by Paul Larmer. Over the years, I returned to Ed the dubious favor of serving on a non-profit board and convinced him to join a national board of environmental leaders. I took sly pleasure out of watching Ed at an elegant dinner party gently dismember the thinking of several wealthy board members who looked at the West as a monolithic center of selfish and backward thinking. His calm methodical approach, and his wealth of stories of individuals who did not fit stereotypes of rural people, was a valued and treasured resource. "I took sly pleasure out of watching Ed at an elegant dinner party gently dismember the thinking of several wealthy board members who looked at the West as a monolithic center of selfish and backward thinking. His calm methodical approach, and his wealth of stories of individuals who did not fit stereotypes of rural people, was a valued and treasured resource." The legacy of the Marston duo at HCN is unmatched by any other institution in the West. They have given us insights, humor, wonder, and the nuanced detail of information and change that can only come from studying a subject over long periods of time. Thanks Ed, for the calm and deliberate perspective that you gave to us. And for the journalistic institution that is now a permanent fixture across the West. We are truly grateful. To Betsy, our thoughts are with you and the extended HCN family wherever this finds you. As the board president of Mountain Journal, I can tell you we share an abiding kindredness. EDITOR'S NOTE: You can read the obituary for Edwin Marston, penned by his wife of 52 years, by clicking here. Mike Clark is board president of Mountain Journal. A writer and conservationist, he has advised many non-profits and twice was executive director of the Greater Yellowstone Coalition.